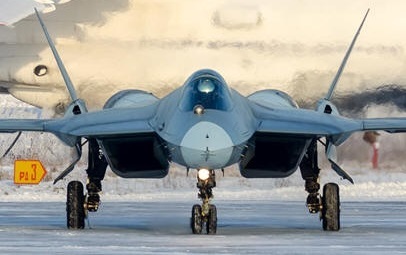 January 25, 2016 - Russia reports its will complete flight testing on its fifth-generation jet fighter, the PAK-FA (Prospective Airborne Complex of Frontline Aviation) this year and it will enter production 2017. Russia's PAK-FA will replace its Air Force MiG-29 and Su-27. The fifth-generation jet fighter (5G) is a jet fighter classification used around the world that encompasses the most advanced jet fighter technology for 2015. It includes stealth capabilities even when armed, low probability of intercept radar (LPIR), high-performance airframes, advanced avionics features, and highly integrated computer systems capable of networking with other elements within the battle space for situation awareness. At present the United States is the only country that has a combat-ready fifth-generation fighter, it is the F-22 Raptor which is manufactured by Lockheed Martin which entered into service with the United States Air Force in 2005. The Lockheed Martin' F-35 Lightning II, India's HAL AMCA, Turkey's TAI TFX, and China's Chengdu J-20 and Shenyang J-31 are currently still under various stages of testing and development. Bondarev also said the PAK-FA will be powered by two UMPO AL-41F1 jet engines allowing it to fly at supersonic speed. It will have a max cruise speed of 2,600 km/h and a range of 5,500 kilometers. 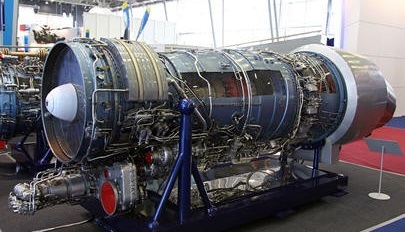 Sometime in the future these engines will be replaced by the next generation jet engine, ‘Type 30’ which is expected to have better speed and fuel economy characteristics.